Corrosion resistant coatings protect metal components against degradation due to moisture, salt spray, oxidation or exposure to a variety of environmental or industrial chemicals. Anti-corrosion coatings allow for added protection of metal surfaces and acts as a barrier to inhibit the contact between chemical compounds or corrosive materials. In addition to corrosion prevention, many of the coatings listed below also provide a bonus of abrasion resistance, non-stick performance and chemical protection. Metal Coatings Corp. provides corrosion resistant fastener coating services that offer rust protection and lubricating benefits. Coatings with anti-corrosive properties ensure metal components have the longest possible lifespan. Metal Coatings Corp. provides the most widely used corrosion protection coatings in the industry, including our one-of-a-kind Fluorokote#1®, a unique fluoropolymer coating with resistance to extreme chemical applications for maximum run life. Whether the components are used in harsh off-shore, industrial, or chemical environments, the corrosion resistant coatings below provide corrosion protection against humidity, saltwater, and chemicals. Metal Coatings Corp. brings four decades of expertise to the application of corrosion resistant coatings, along with the advantage of a 150,000 square foot facility staffed around the clock with coating industry professionals ready to handle rush projects. 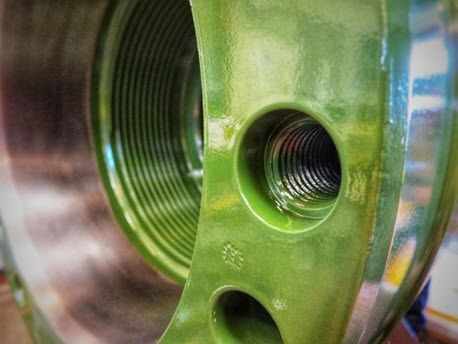 A wide variety of anti-corrosion coatings are available, including corrosion resistant steel coatings, to match the performance requirements of a specific application.